Turkey, which is concerned about continuing violence against the Rohingya Muslims in Myanmar, seeks to bring the plight of this community onto the international agenda, calling on the international community to end its silence on the situation affecting the Southeast Asian country. Turkish Prime Minister Recep Tayyip Erdoğan said last Wednesday that Turkey was concerned over the brutality towards the Rohingya Muslims in the province of Arakan, the location of recently escalating violence in Myanmar, near Bangladesh. "We expect more sensibility from the international community for the Rohingya Muslims, who left their homes, belongings and land due to the religious fanaticism they faced," said Erdoğan. The first glimmer of violence in Myanmar appeared in June after claims that three Rohingya Muslims raped a Buddhist woman. After the event, fanatical Buddhists started killing Muslims living in the Arakan province and burned houses and workplaces belonging to the minority group. 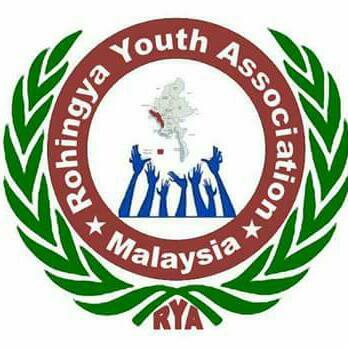 Rohingya Muslims are not seen as citizens of Myanmar by nationalist Myanmar leaders, officials and fanatic Buddhists, and in turn are exposed to discrimination. Turkish Foreign Minister Ahmet Davutoğlu spoke with the secretary-general of the Organization of Islamic Cooperation (OIC), Ekmeleddin İhsanoğlu, on Sunday about the continued violence against Rohingya Muslims in Myanmar. According to information obtained from diplomatic sources, Davutoğlu and İhsanoğlu discussed the situation in Myanmar and possible ways of dealing with it. It was also said that İhsanoğlu briefed Davutoğlu on the steps that should be taken in Myanmar in order to normalize the situation in the country soon. Also, the Turkish Directorate of Religious Affairs has called on international organizations, especially the UN, not to remain silent about the violence against Rohingya Muslims in Myanmar. A statement made by the directorate said that more than 1,000 Rohingya Muslims living in Myanmar had been killed and more than 90,000 were left homeless since the violence started. There are contradictory figures regarding the death toll of the Muslims in Arakan province. An aid team from the United Nations, which is the only foreign team that was allowed to enter the region, has said the death toll was neither as low as Myanmar's government had declared nor as high as activists have claimed. The UN team also said there are a large number of residential areas in the region, which makes it difficult to accurately calculate the total number of deaths. But local sources claimed on Monday that the conflict had somewhat eased. Myanmar's government is currently not allowing any media organization to enter the country. Myanmar President Thein Sein has declared a state of emergency in the country and deployed army troops to restore stability. While tens of thousands of Muslims fled Myanmar due to the violence, Bangladeshi authorities did not allow the Rohingyans waiting at the border gates to seek refuge in their country.